Cowan Goudreau Architects has designed additions / renovations to the existing Winnacunnet Rd. 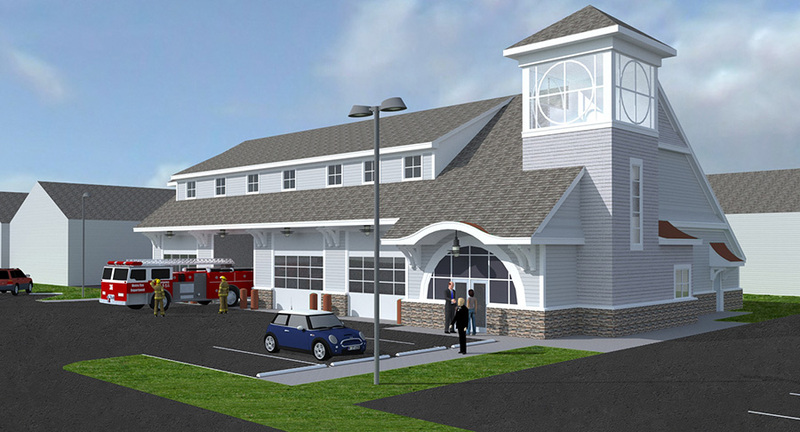 fire station and a new substation at the Hampton Beach Precinct. 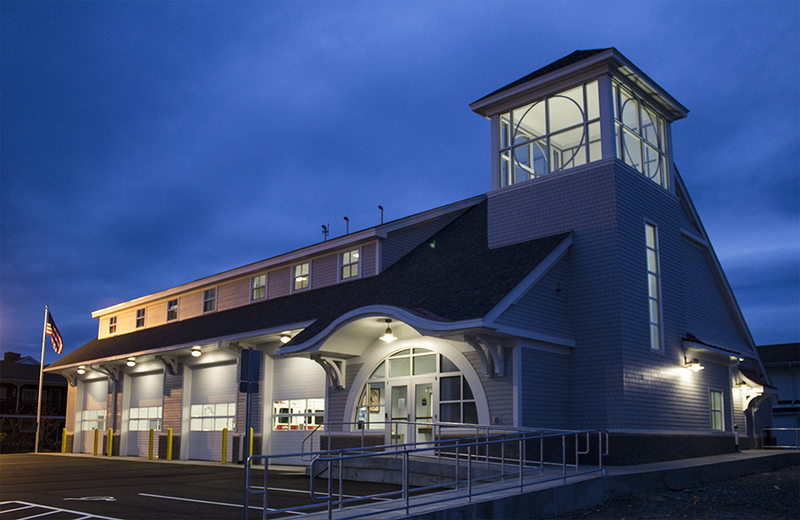 Current fire department headquarters are located at 64 Ashworth Ave. in the Beach District. 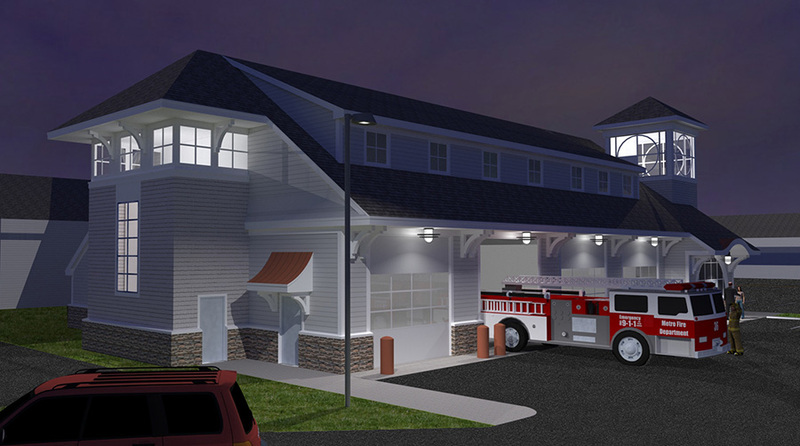 It was the Town’s desire for the Department to relocate headquarters to an expanded and renovated station that exists at Winnacunnet Rd. 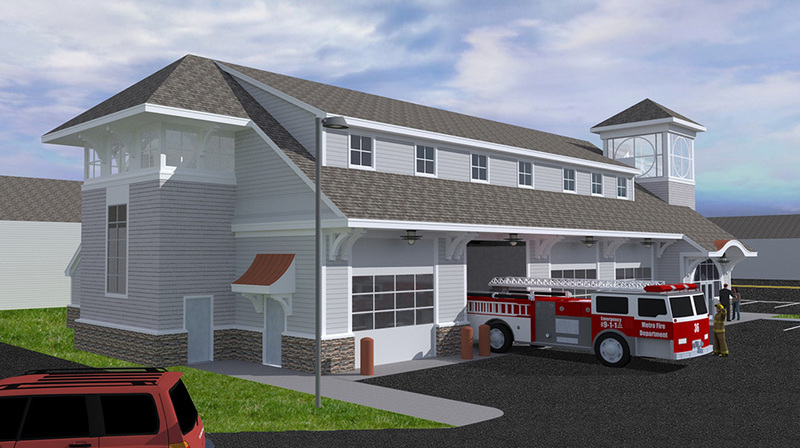 (approximately 25,000 sf), and to build a new substation facility (approximately 11,000 sf) within the Beach District to replace an 80-year-old facility that no longer functions properly (inadequate apparatus space and various code and NFPA Standards violations with the existing facility). Included in our scope was a site feasibility study and assessment to determine the most appropriate site for the Beach District substation to address proper vehicle maneuvering and response times within the Beach District. A total of 7 sites were analyzed. 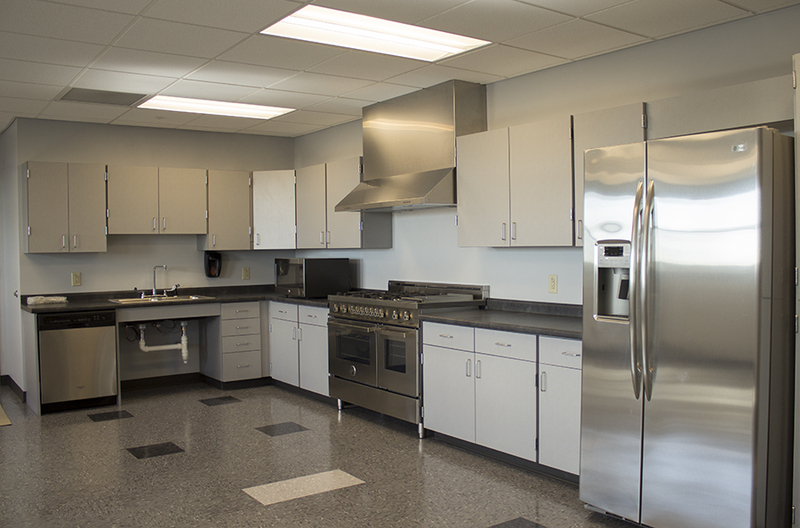 Construction for both facilities was completed in 2013.